Great news for Hull today in that the city has been successful in achieving Purple Flag status (http://www.purpleflag.org.uk/index.php). For me personally, having been part of the partnership working over the past couple of years that has brought this to fruition its been a particularly good day! The Purple Flag journey started about two years ago when a group of public, private and voluntary & community groups came together to consider the role of the night time economy in regeneration. Evidence from other cities that already had Purple Flags suggested that the benefits it brought were exactly what Hull needed to boost its own night time economy and so the ambition to achieve Purple Flag status for Hull was set. The criteria set out by the ATCM in order to achieve Purple Flag status covers whole host of things ranging from how we work in partnership within the city to safety, to quality and variety of the night-time-economy. Its actually a huge piece of work that no one organisation could achieve on its own. 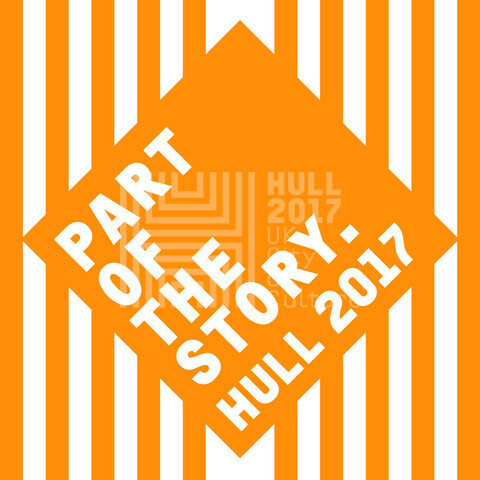 So, in order to do this a partnership was established which included Hull City Council, Humberside Police, Hull BID and NHS Hull. When we first came together we weren’t sure if we would be successful but we all committed to the cause acknowledging that we would be bringing about improvements in services as we did so which would be worthwhile in its own right. Two years later having discussed a wide variety of issues relating to the night time economy and knowing far more about availability (or not as the case may be and the reasons for this) of public toilets here we are with a Purple Flag for Hull. A reception by key partners from public service welcoming the assessors and setting out our aspirations for the city. The assessors commented that they were impressed with the level of turn-out and acknowledged that the level of support shown by our partners was reflective of our commitment to the Purple Flag which set us off on a sound footing. Then we went on the city centre which looked immaculate and credit must go to Hull City Council’s Streetscene services. We had a great mix of people including young people and families which gave a really relaxed and friendly atmosphere which was enhanced by the fantastic Freedom Festival. During this tour assessors observed and overheard two PCSOs dealing a potential incident involving some young people in Queens Gardens and were complimentary about the handling of the situation and the rapport the PCSOs had with the young people. They spent some time in St Stephens shopping centre and in particular spoke to the Manager of the 24 hour gym. We also ended up on stage at Hull Truck (albeit without an audience). The assessors were complimentary of Humberside Police’s Public Order team briefing and also spent quite some time in the CCTV control room discussing it’s use and reviewing examples where this had been used to good effect. Being a nosey sort I loved this bit of the night and for anyone thinking of getting up to mischief in the city centre on an evening I’ll say this: Don’t bother – you’ll be on candid camera and you’ll get caught! They also spent some time with the Street Angels in the Trinity Quarter and were impressed with their operations and professional approach but were also pleased to hear how other services such as the Police and Street Marshalls had been so supportive of them. This for me was a personal high point. Ever since the initial discussion about going for the Purple Flag two years ago we knew that we needed a Street Angels service for the city centre so myself and some colleagues from various sections of public service plus a handful of others decided to take matters into our own hands and made it happen by setting up the Hull Street Angels Trinity chairty (www.hullstreetangelstrinity.org.uk) which we do on a voluntary basis in our own time (wouldn’t have happened without @scaremkaren!) So it was brilliant to see special recognition be made to services our volunteers provide alongside the recognition given to Humberside Police for their effective use of Drink Banning Orders. Throughout this process all of our partners have been fantastic. The Council, NHS Hull, Hull BID and Humberside Police. What I found surprising (although I’m not sure why) was Humberside Police’s attitude towards it all. They are absolutely committed to making this city a safer place. Core business you might suggest for a Police Force but they genuinely see their role as being there to make sure you and I have a good night out by ensuring your safety – but more than that, they understand that in doing so they are supporting a stronger night time economy and as a result, the economy and the regeneration of the city. I don’t think the majority of the general public would appreciate that. I have to admit, I was a bit apprehensive to begin with when we first started showing our assessors around but I needn’t have been. Showcasing Hull to the was easy and comparing our city against their assessment criteria made me realise that we genuinely do have a good quality, safe, mixed night time economy with something for everyone, families included. For me, this really hit home the significance of the various regeneration projects that have been completed over the past few years. We are not the city we used to be. Our city is changing and is changing for the better. Some people continue to criticise but these are the people who need to use the city centre and open their eyes to it while they’re here. Look around. You’ll see theatres, 24 hour gymns, 24 hour parking, restaurants and cafe’s, cinemas, places where families can go, we have FREE museums, a Freedom Festival and of course we still have our traditional lively drinking circuit. For me personally this has been an exceptionally rewarding experience. Hull has achieved Purple Flag status on merit. It has benchmarked itself against a standard and achieved it, something only a handful of cities can say they have done. We can now say with confidence that Hull’s night time economy is on a par with the likes of Birmingham, Liverpool, Manchester and Nottingham. Getting that positive message out there will help improve the city’s image, bring more people to the city and boost our local economy. No Comments to "A Purple Flag for Kingston upon Hull"